Apr 13 is the day vinyl collectors around the world celebrate Record Store Day. In Bangkok, that means the occasional party, but also just a really good excuse to go crate-digging. Here are the city’s best brick-and-mortar record stores. Nestled on the second floor of Thonglor’s Seen Space community mall, this humble but hip record store offers an impressive range of new and used LPs, from classic names including Bob Dylan and David Bowie to '90s and '00s gems such as Radiohead’s OK Computer and The Strokes' This Is It and contemporary acts like Fleet Foxes and Kendrick Lamar. There’s also a corner dedicated exclusively to movie soundtracks for cinephiles to drool over—think West Side Story and Saturday Night Fever. Good for: ‘70s and ‘80s heavy weights to ‘90s and early noughties alternative rock. 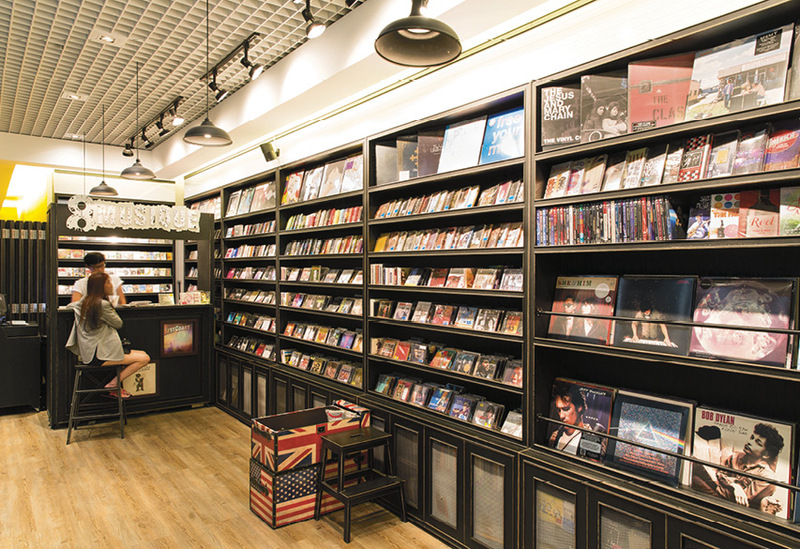 Prices: Second-hand records start from around B550, while new LPs can cost almost up to B1,500. Despite its relatively small space, this hidden gem is packed with impressive rare old finds like Pink Floyd’s The Wall and Cream’s Disraeli Gears and up-to-the-minute movie soundtracks. Good for: Classic favorites like Al-Green, Simon and Garfunkel, The Doors and Chet Baker. Lots of Chet Baker. Prices: As low at B300-400. Perched atop Thonglor’s Black Amber building, this hidden gem is frequented by local indie musicians and music nerds who could well be extras from the set of High Fidelity. The selection spans ‘90s Britpop through to soul, funk and dance music. The tiny balcony occasionally heaves with gigs from up-and-coming rockers, too. Good for: Psychedelic rock sounds, from Hendrix through to Spiritualized. Prices: For the good stuff you’re looking at B600 and up for 7-inches, B800-plus for LPs. Owned by globe-trotting DJ Maft Sai, Zudrangma has been credited with making molam (Thai country grooves) cool again. Aside from their reissues of forgotten molam and luk thung artists, they also offer up world music gems, spanning Ethiopian pop to Philly soul, as well as special compilations from their own label. Good for: Wonderful represses from the likes of Soundway Records and Awesome Tapes from Africa. Prices: Zudrangma Records compilations start at under B1,000. CDs and vinyl, mostly new, charting rock both classic (The Smiths and The Beatles) and contemporary (Haim and Phoenix) plus a ton of chart-pop and selected local artists. Good for: Cool reissues (Francoise Hardy, Tom Waits) and local releases from Plastic Section and Cyndi Seui. Prices: Second-hand from B600 and new from around B1,000. 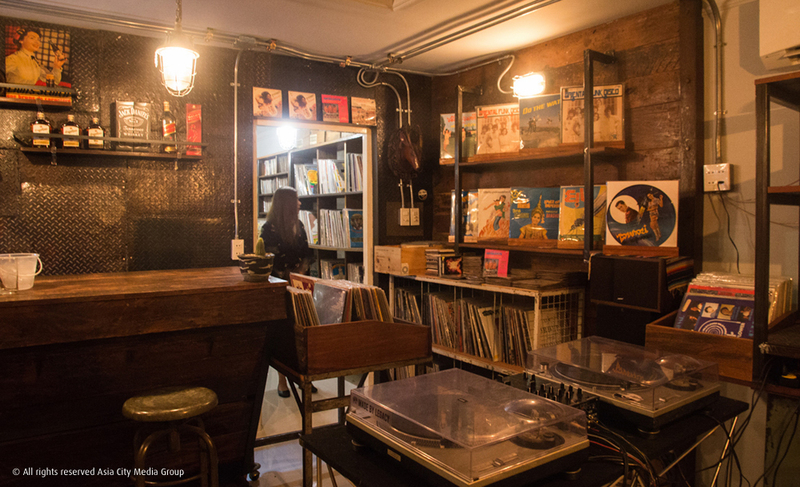 This classic all-things-Japan thrift store dedicates a large slice of its second floor to vinyl. There’s a lot of ‘80s fodder to sift through (Billy Joel's The Stranger, anyone? ), but the devoted are rewarded with Fleetwood Mac and Kraftwerk records at dirt-cheap prices. Good for: ‘80s chart pop and hair rock. Tucked in the eaves of golf-centric Thaniya Plaza, this store is a haven of Coltrane, Davis and Rollins, to name just three jazz kingpins they stock in all their Japanese-pressing glory. Call ahead to ensure it’s open. Good for: Hidden in the mountains of MOR in the pop-rock section you’ll also dig out some esoteric gold. Prices: From B100 all the way up to B10,000. In 2013, a collector and DJ decided to start an online shop. That’s since led to two brick-and-mortar stores: the biggest at Warehouse 30 and a corner at EmQuartier’s Another Story. Unlike other guitar-oriented record stores, this one’s big on hip-hop, R ’n’ B and drum ‘n’ bass. Good for: Dusty old Sade LPs and up-to-the-minute hip-hop bangers. Prices: Count B100-B1,000 for most vinyl. This family-run affair has two branches which are goldmines for serious crate-diggers, spanning a wide array of genres from all over the world. Expect rare world music finds, from luk thung to Diana Ross and The Carpenters, both new and old. Call ahead for opening hours. Good for: ‘60s, ‘70s and ‘80s hits, plus old-school luk thung. Prices: Starting at a mere B200. 10 Boonsiri Rd., Phra Nakhon, 081-695-2785. The absolute best reason to trek over to the Arun Amarin neighborhood? Probably. This hipster hovel hosts a cafe on the first floor and a vinyl shop on the second floor. The shop is named after a classic album from ‘60s folk singer Nick Drake and run by the same people as hip vintage store The Trapeze Swingers on Phra Arthit. 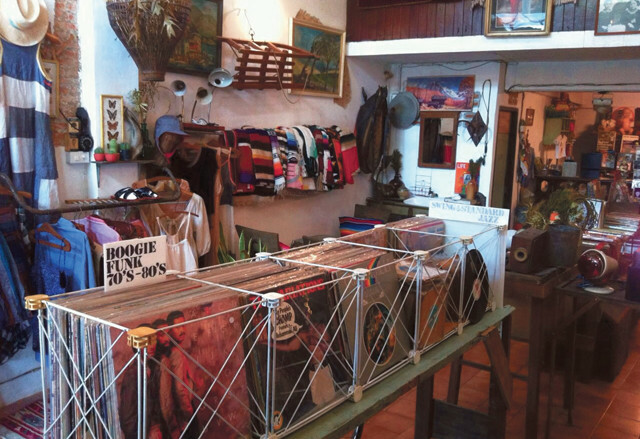 Crate-diggers will find mostly jazz, blues and soul, as well as old books and clothing. Good for: That well-loved Coltrane LP you’ve always wanted. Prices: B100 up to B10,000 or more. This classic-rock specialist has brand-new digs around the corner from Saxophone near Victory Monument. Here you’ll find a very wide range of secondhand vinyl covering everything from pop, rock, jazz and blues to heavy metal, thrash and reggae. Good for: Japanese pressings of your favorite rock records. Prices: As low as B300. Head here for new releases from indie/pop bands like Arctic Monkeys and The 1975 as well as classic reissues from The Velvet Underground and The Flaming Lips, and Thai '90s artists like Proud and See-Tao-Ter. Good for: Mainstream rock and pop. Prices: B1,000 and up for new releases. 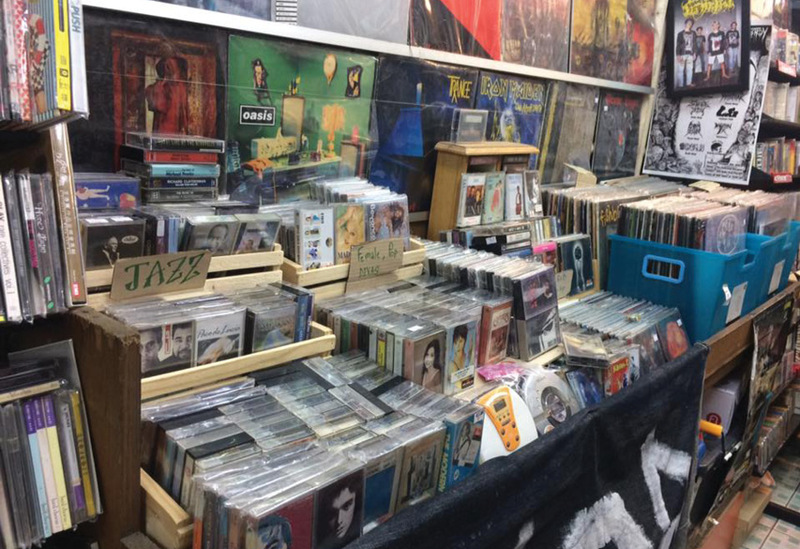 One of Bangkok’s most popular record stores does brisk trade in restocked rare finds, with a particular love for ‘80s-‘90s alternative rock—will it be the original 1987 UK pressing of Jesus and Mary Chain’s Darklands (B1,300), or the Yugoslavian version (B990)? Good for: Mostly ‘80s-‘90s underground icons—think The Cure, Bjork and Sonic Youth. Prices: B300 up to over B4,000. Tucked in a quiet soi in Pradipat, this quaint little house is a treasure trove of new and secondhand vinyl, from ‘90s Thai alternative rock and Britpop to jazz and movie soundtracks. Good for: Limited edition box sets—think Led Zeppelin’s Mothership super deluxe box set, Japanese edition. Prices: Secondhand from around B600 and new from B1,000. This heavy metal specialist is a Chatuchak Market institution, offering vinyl as well as CDs, cassettes and T-shirts. A second branch in Camp Vintage market expands the palette to more, well, soothing sounds. Good for: Metal, drone, molam. Prices: Plenty of quality under B600. This charmingly indie Chatuchak co-working space has a corner devoted to vinyl. One of the owners, Put Suksriwan (of Wednesday and Basement Tape indie fame), has put his collection up for grabs: a mix of mostly ‘90s and early ‘00s indie and heavy metal bought from forays abroad. Good for: Indie hits of yesteryear to go with new arrivals. In a three-story townhouse originally meant to be the record-collecting owner’s home, this store specializes in old-school molam and luk thung along with beer and bites. Good for: Classic names like Waipoj Petchsupan and Suraphol Sombatcharoen through to the current Zudrangma’s Paradise Bangkok. Prices: Start from B150, but hard-to-find albums can fetch up to B3,500. The best of the batch of record stores at Fortune Town mall has it all: new and secondhand vinyl from classic rock to country to weird (for some) European synthy ambience. Their website is one of the better organized, too. Good for: Prog-rock and more obscure Krautrock, if you dig deep enough. Prices: The best stuff starts at B600. One of the city’s biggest record stores, the owners claim you need more than a day to sift through the place. This is run by the kid of the owner of Bangkok's now-closed vinyl institution PS Audio, which ran for over 40 years. Good for: Classic names like Nat King Cole, The Beatles and David Bowie, plus plenty of newer artists. Prices: Records start from B100 for used titles an run well into the thousands for new and reissued LPs.